Please answer some questions about heroin? Can someone help me answer some questions about heroin? I want to stop so bad, but I can't get past the thought process... then the actual high. It's habit, the phone call, then meeting the man the process of it all, this what I can't get past! Comments for Please answer some questions about heroin? Heroin addiction is a disease of the brain, which means that heroin attacks your brain and changes your behavior in negative ways. Using heroin can become a compulsion, just as hand washing is for someone with OCD. To end your dependence on heroin, you will have to end your compulsion for the ritual of using it. This is the support you will get if you go into a inpatient treatment program. They can help you to understand your compulsion and re-train your brain so that you can stop it. 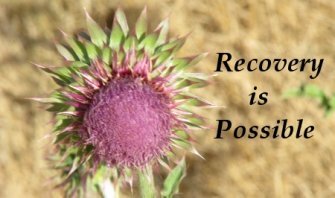 This will take time but it is possible to change your thoughts so that you aren't constantly relapsing on heroin. So please consider going to the hospital and having them help you to withdraw safely from heroin and then going into an inpatient treatment facility that specializes in heroin addiction. Many heroin attacks are like you and are addicted to the process, which won't stop until you break the cycle of addiction.